"LanSchool Creates Authority in the Classroom"
This is a simple way to monitor my students in the classroom and keep them off of games and on the assignment/task at-hand. It is an easy time-management tool that simply lets a student know they are off-task and need to implement better time-management tools in the classroom. The hardest part is that some teachers, including myself, will forget to sign-off of LanSchool when students head to another class. Therefore, it can be disruptive for the learning process and students absolutely will not concentrate if they know another teacher is "watching them." We had a lot of glitches with our Lenovo Think Pad laptops last year and even this year. I simply quit using the system at the end of the year. At the beginning of the year it was effective, but it also took over two months for the software to work properly. Easy for monitoring, however there are some glitches. At this time, our school district is simply using the device as a monitoring tool and we have not promoted any business practices. However, the benefits for students are great for decreasing procrastination in the classroom and focus. I believe one of the big characteristics of school work that students have lost is focus with technology and at least LanSchool allows this practice to take place and prospers growth in this area. I like that LanSchool allows me to monitor students, assist students, control what sites students go on, computers off and on, send a link to every computer, send messages to students, show students my screen on their computer, show another student's screen to other students, and other features. I dislike how it is sometimes slow across the network, but this could be from having 170 or more students on the computers each day. I also wish that when the students screen is all computer that I could control their computer. Try the lite version first. It will give you an opportunity to see what options are possible. After time, you will want to use other features. I am able to work with more students in less time. There are a lot of options that are available that I do not use because I have other methods, but it will allow for students to take quizzes in addition to many other options. LanSchool continues to look into what they can add and change to make it better. I have not contacted support often, but they were quick and very helpful. I added a second monitor to my computer so that I can have Lanschool open while working on another site. This allows me to monitor students, but also be productive. When teaching a class, this is one of my favorite applications that I would not want to live without. I really appreciate that LanSchool allows me to get a general view of what is happening on the computers of each of my students while working with one student or grading at my desk, rather than having to walk the room constantly. My students use Chromebooks and I do not like that LanSchool is not yet to a point where teacher control is possible for Chromebooks. In the past I have used LanSchool with desktop PCs and enjoyed the ability to push out certain websites or programs to all the computers at once, This saved me a lot of time and energy when working with my first graders! This is a great program when using desktop computers. I hope that they will continue to make changes that allow all features to be used with Chromebooks, since so many schools are turning to 1-1 device use in the classroom. It's nice to feel like I can monitor student work and activity from one location. When students are working independently on their Chromebooks I like to use that quiet time to reteach single students or small groups and assess different skills. If I had to be wandering the room to monitor, I wouldn't be able to multi-task in this way. There have been multiple time periods where other teachers have disabled the computers of students in other classrooms accidentally/inadvertently due to issues with programming between the LAN school setup and this has caused COUNTLESS headaches and issues when trying to complete assignments, tests/quizzes and projects. While it's fabulous to be able to remotely monitor access, if it's not programmed or setup correctly, it can present a nightmare, especially if having to track down the teacher who accidentally froze a student's computer. "Lanschool in a STEM classroom"
I love that I'm able to control my students computers for many various reasons - to show them my screen, to send them a message, to control their computers and run files, show their work on their computer to the class, etc. The time it saves me every day and the management it provides in my classroom is so valuable! I feel like it freezes or I have to re-run/end the task often. Sometimes when I "Control all" computers it doesn't always work. Learn the various uses of it to use it meaningfully and to its best potential! It provides us with a much needed system as all students have computers at their desks. It creates a great, focused, non-distracting environment for our students. LanSchool is a great tool for teachers whose students are on computers. My classroom is 1:1 so it is difficult to see every screen at once. LanSchool allows me to block websites, apps, etc. Students stay on task better without the distraction of an open internet. The user interface is a bit complicated, and it is confusing to set up class rosters. It takes some time to get used to it, but with some guidance, it becomes easy to use. LanSchool allows me to block websites, apps, etc. Students stay on task better without the distraction of an open internet. I like that I can monitor what students are doing in my computer lab. I also like that I can use the demo mode and show my screen on my students' screens. Sometimes I also put one student's screen up on the projector screen and they can demonstrate tasks too. There are a ton of features that I am not using, but it is an amazing tool for my technology classroom. Sometimes computers disconnect from LanSchool... that might be a network issue though. When this happens, IT needs to come down and reconnect it. I like that I can monitor what the students are doing on their computers. It is also effective to show student examples to all the others in the class. I dislike that it is unreliable and might work for one class but not for another. It is slow to open. We are trying to solve the setup of a classroom where children need to look at the teacher, but their computer screens are facing away. There are also very few filters on the internet connection. Lanschool aids our teachers in viewing what students are doing on their computers. It's an easy to use tool and doesn't require much training for the teachers. It is fiddly and occasionally breaks down with no reason. I would like for it to be more stable - especially between versions. Lanschool is helpful to teachers, but it is not a cure all. I would recommend having some implementation for teaching the teachers, and an informational meeting so they realize it is not the magic wand, but rather another tool in their arsenal. It is an essential tool for our teachers to use during an active class period day. I like that I can share students' screens and a student or I can demonstrate directly on to other students screens. When I don't want students to be online Limit Web doesn't block Chrome, only Internet Explorer. However, I can block Chrome through restricting apps. Each teacher needs to have a different channel, so if you have mobile computers, this may not be a good solution. I am able to send and receive student files as well as limit applications students are able to use. "Really easy to use! " A great product to use for collaboration, seeing what students are doing, and providing them feedback/comments, and to also show other students what they are working on! I wish I could make the students screen into a full screen mode on my computer. Using this to communicate and collaborate with students. This is an excellent way to engage a class through technology. Often teachers may fear using laptops/tablets etc due to the chance for distractions, but LanSchool gives teaches he ability to control what students can acces the web and what apps they can use. Being able to in the fly see what students are doing and interact with them individually is amazing as well. Can be a learning curve getting everyone up to speed on the system. I am using this to bring technology ontontjenasdroom Ina meaningful way. Everything about this product is amazing, How easy it is and the functionality. The idea of LanSchool is great. I would love to be able to lock my student out of their computers when lecturing or giving a presentation. Student could re-start their computer and they were no longer frozen by LanSchool. I also tried sharing my screen with students so they could follow along and some student screens froze or turn black. Not a problem I want to deal with in a class of thirty students. I also preloaded all class lists like I was instructed to do, but when students entered my room they did not show up. I have to manually add them each class period, every day. Have lots of Tech people to help with problems. I was using LanSchool as a classroom Management tool, but it create more problems than is solved and I quit using it after one week of use. I like the teacher console and managing student screen and monitoring. Interface theme and pricing. Also the interface itself could have been improved. Controlling student pc and monitoring them. "Great program to help manage your classroom"
"Easy to manage and use. " I use Lanschool to keep and eye out for if a computer is having issues during class. It’s very helpful for teachers also! Sometimes setting up class lists or multiple rooms can be tricky. Managing classes and making sure kids are doing what they should is great. As a tech, I’m able to make sure errors don’t come up during important tests. This product allowes for me to monitor 30 students' screens at one time. Nothing to dislike about lanschool monitoring. 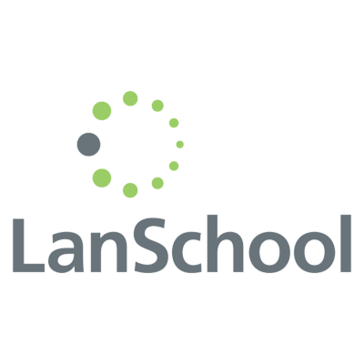 * We monitor all LanSchool reviews to prevent fraudulent reviews and keep review quality high. We do not post reviews by company employees or direct competitors. Validated reviews require the user to submit a screenshot of the product containing their user ID, in order to verify a user is an actual user of the product. Hi there! Are you looking to implement a solution like LanSchool?